Dave was very thorough in his teaching methods and gave many examples to make the info practical to the real world. Nothing... Dave was very thorough in his teaching methods and gave many examples to make the info practical to the real world. Nothing was dry and he gave us many bits of money saving ideas that should be used on site to save us time and money! Job well done. Great Refresher, I think it should taken be every couple years five is too long. Great Refresher, I think it should taken be every couple years five is too long. The instructor was great, never a boring moment. The instructor was great, never a boring moment. The instructor did an excellent job staying on track and keeping class momentum. Best lead class I have taken. The instructor did an excellent job staying on track and keeping class momentum. Best lead class I have taken. Great instructor. He gave good advise and also great tips on being more professional on the job. he has a passion for spreading... Great instructor. He gave good advise and also great tips on being more professional on the job. he has a passion for spreading awareness. Really enjoyed his class. Very good course. Would use your company for other classes also. Very good course. Would use your company for other classes also. Class was informative. Although i was not informed of a location change so I was late for the class. Class was informative. Although i was not informed of a location change so I was late for the class. The class was informative and the instructor kept you interested. The class was informative and the instructor kept you interested. Awesome refresher! Ed Wenz was a great instructor. Awesome refresher! Ed Wenz was a great instructor. The class was way beyond what I was expecting. We were provided alot of information and also all the resources we need to... The class was way beyond what I was expecting. We were provided alot of information and also all the resources we need to comply. 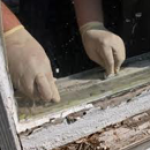 Lead Renovator Training, LLC is a family owned Michigan based business. 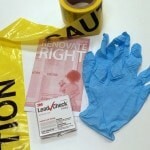 We are a fully acredited trainer for the EPA and EPA Certified Renovator Trainers for lead safe work training. 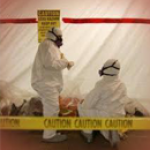 We also teach lead abatement, lead inspector, lead risk assessor, mold remediation, OSHA compliance, & more. The primary trainer has been a building & remodeling contractor, new home builder, Lead Abatement Contractor, a Lead Supervisor, Lead Inspector, Lead Risk Assessor, Asbestos Abatement Supervisor / Contractor, & Asbestos Building Inspector. Ed brings the real world mechanics of doing the work to the class to help you perform better and more efficient.